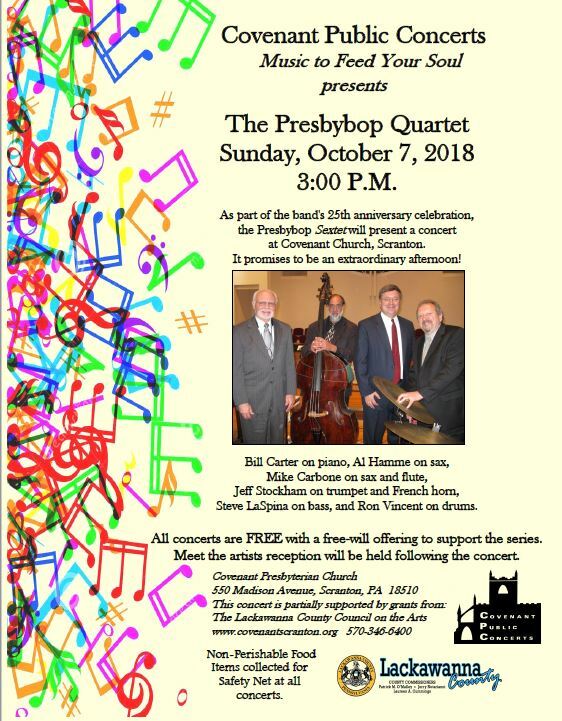 Presbybop Music is a musical venture of Bill Carter, jazz pianist and Presbyterian minister. In 1993 he formed the Presbybop Quartet with Al Hamme, his college music professor from Binghamton University. With the lineup of drummer Ron Vincent and bassist Tony Marino, the band has evolved into a consort of musicians who have been turning heads on the musical scene and adding new dimensions to the faith and worship of the Christian church. In recent years, the band has become a sextet on occasion, with saxophonist Michael Carbone and trumpeter Jeff Stockham joining in the mix. 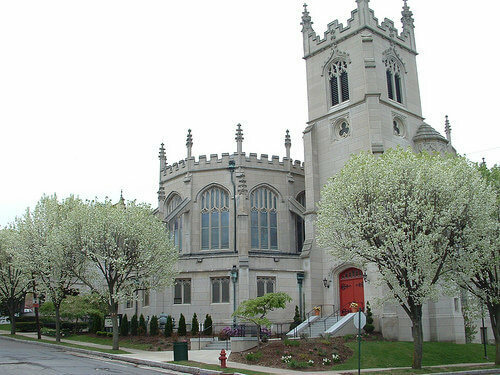 Based in northeastern Pennsylvania, this consort of consummate professionals has presented concerts and jazz worship services in churches and venues around the country. Their music has been widely acclaimed. To date, Bill’s Presbybop ensembles have recorded ten compact discs: Faith in a New Key, Dancing Day, Fragile Incarnation, Stand On Your Head, John According to Jazz (with biblical storyteller Dennis Dewey), Welcome Home (with vocalist Warren Cooper), Psalms Without Words, Interior Window, Jazz Noel, and Jazz for the Earth. You will not want to miss this wonderful performance! Begins at 3:00 P.M. in the sanctuary. FREE with a free-will offering to support the series. Non-Perishable Food Items collected for Safety Net. Everyone is invited to a “meet the artist” reception following concert. 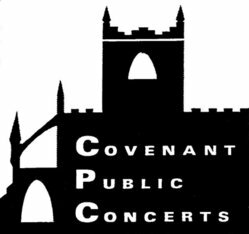 Concert is partially supported by grants from The Lackawanna County Council on the Arts.